I was travelling all day yesterday and now have had time to really sit down and reflect on what happened in this instance. All along, I've believed this educational takeover of our schools, Race to the Top and the "race" to adopt common core standards mirrored the Federal takeover of our health care. If you listen to the arguments the senators who support state sovereignty in the health care realm, the issues are the same sovereign arguments for education. Your State Board, by a vote of 5-1, turned over the standards your children will learn to the Department of Education in DC. "Missouri has been provided the opportunity to review and respond to confidential early drafts of the reading, writing and mathematics K-12 standards in November, January and February. A public comment period took place in March 2010. An analysis of the final version of the Common Core Standards will be provided to the Board". 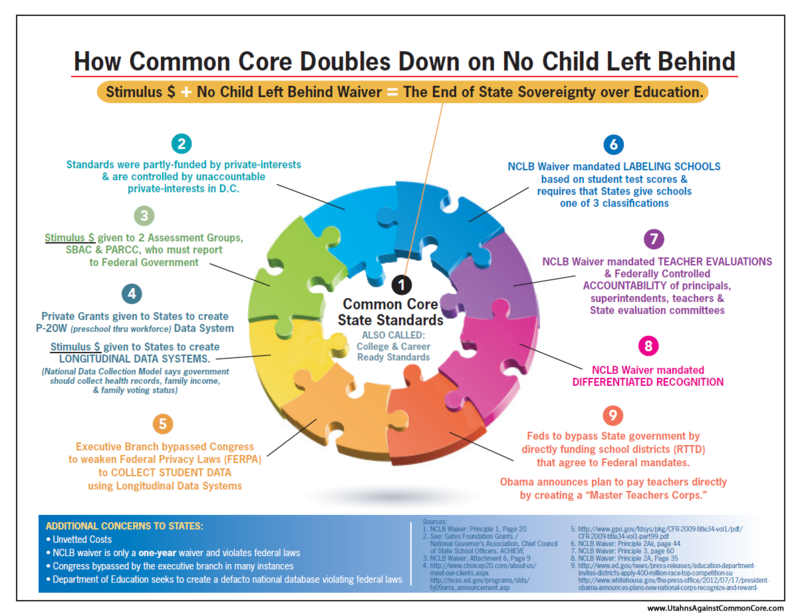 Does anyone besides me have the slightest belief the State Board did not care to hear from the parents and/or taxpayers of the students these common core standards impact? Were YOU invited to comment on these common core standards? Are you concerned these standards were not final BEFORE the Board voted on them? After the "transparency" of the Health Care bill and the comment "we have to pass it to find out what's in it", I am not all that trusting of governmental entities. It seems as if the DC way of doing business has arrived full force into Jefferson City. click "school report cards posted"
click on "load profile", then under "summary profile"
click on "statistical profile of district"
Your last click will now be to click on "ProfileII". This will allow you to determine the percentages your school district is funded from local, county, state and federal sources. I admit, I am a bit stymied by the school profiles DESE has provided. They are classified as 2009 "Report Cards" for the districts, but the last financials listed in these categories are 2006. While I am relaying factual information from 4 years ago, I have sat through many a school board meeting and I do not believe the percentages for Kirkwood District have changed dramatically. That being said, it would be nice for the taxpayer to have access to more current information. Kirkwood School District receives approximately 2% of its funding from the Federal Government. I've pulled a few other random districts and determined their federal funding percentages: Kearney, 3%; Lebanon, 10%; St. Louis City, 13%; Kansas City, 15%. I realize these percentages, while small, represent millions of dollars to districts. However, these percentages should not give control to the Federal Government to set curriculum. 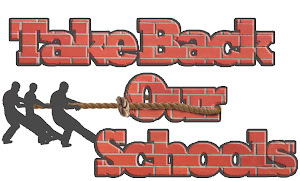 The taxpayers are paying the large majority of the funding for their districts' schools, and now they have NO voice in the curriculum of their children. Is this an example of taxation without representation? Why did the State Board vote on this matter two months earlier than published? Did the Board not want any public comment from the parents and taxpayers? Did you know the Board is appointed by the governor and these positions are not elected? Did you realize your state sovereignty was handed to Arne Duncan and the Federal Government by persons not held accountable to the taxpayer OR the state legislature for its actions? Did you know these officials voted on many standards not yet formulated? If the State Board operated as a private business, these board members should be fired for making decisions based on....nothing. They've thrown your kids, your local districts and your tax dollars to "who knows what"? Are you a taxpayer who believes in American exceptionalism? Are you a taxpayer who may not want your kindergartner learning about sexual orientations at age 5? Who knows if this will/will not be part of the curriculum? That's why the State Board should have never signed on to these standards...we don't know "who knows". We don't know who is setting the agenda for our kids. And yet, we have an appointed State Board who is willing to trust..."who"? Find out more about the common core standards. Click on this link and sign up for updates. 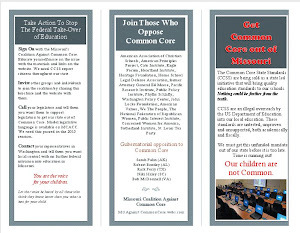 As the site tells you after signing up, "thanks for becoming a common core supporter"! It's only your kids and your money. You have no voice (really, you're just a wallet), but at least you can track what's planned for your child. After all, it is our government and it is here to help us. Gee, don't you feel better? OMG. I don't seem to be able to put together a sentence without the majority of the '7 dirty words' in it. I should probably leave it at that for the moment. Heading out to see Hamlet in the Park... the first line is "Who goes there?! ", a question we should all be asking ourselves right now. The 7 are getting restless... better go.